Latest Agra University Date Sheet 2019 Update: Good News !! DBRAU has uploaded Date Sheet of BPEd 3rd Sem December 2018 Exam & Agra University has uploaded Revised Exam Scheme & Main Exam 2018-19 Date Sheet. Agra University Main Exams will start from 01 March, 2019. 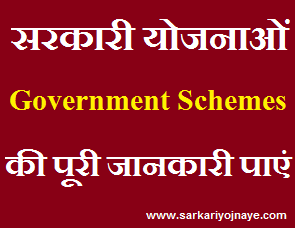 Download DBRAU Main Exam 2018-19 Exam Scheme from link given below……. Agra University has uploaded Date sheet of BA LLB Re Exam, BDS, MSW Sem 1 & 3, MD/ MS Mains Exam, B.P.Ed 1st Sem Session 2018-20, B.Sc (Voc) Computer Application/ Biotechnology, BA Vocational, BBA, MBA, B.Pharma, M.Sc (Chemistry, Zoology & Forestry), Bachelor of Engineering, B.Sc VOC, B.Sc I & III, B.Lib, M.Sc I & III, M.Sc Biotechnology Batch II, PGDCA 1st SEM, M.Sc CS 1st & 3rd Sem, BCA B.Com BBA B.Sc Ag and MCA 1st 3rd 5th, M.Com 1st 3rd Semester. Download Agra University Date Sheet from link given below…. Know Agra University:- Agra University, (Dr. Bhim Rao Ambedkar University) is one of the oldest institutions in Uttar Pradesh, in the historic city of Agra. The Institute of Engineering & Technology Khandari, Agra (I.E.T. Khandari, Agra), is the prestigious and renowned engineering institute of Dr. B. R. Ambedkar University, Agra (formerly Agra University), situated at Khandari Campus, Agra, Uttar Pradesh. The Institute is an integral part of Dr. B. R. Ambedkar University (formerly Agra University, estd. 1927), which has the distinction of being one of the oldest Universities of India. The Institute is situated at the Khandari Campus of the University, in the green belt of Agra city, in pollution free environment. Agra University Conducts Semester and Annual Examination for various UG PG and Diploma Courses. A large number of candidates takes admission in the Agra University. Dr. BRAU Agra Also Conducts Private Examination for the Students. Who, can not attend the Colleges Daily. So, here are some information about the Semester and Annual exams. Semester Examination:- Agra University Semester Examinations are conducted two time a year. Exam are held for B.Com. BE. M.Sc. M.Phill, M.A PGDM, DPL , CPL and other various Exams… University Organizes Examination in the Month of June & December. Semester Exam Pattern and other information can be found n the University website. So, If your are looking for the Semester exam scheme or Date sheet then. keep in touch with our website or visit the University Website for more Information. Download DBRAU Date Sheet of B.Ed Special Re-exam of 2014 & 2015 (Held in 2019) For Old Course. Download Agra University Examination Schedule of LLB & BALLB Re-Examination 2018. Download Agra University Date Sheet of Semester Examination B.P.Ed First Semester Session 2018-20.
when will the Admission of llb 2nd year will be started. When will the result of re-examine of LL.b held on 29-1/02/19 be declared by dbrau? get agra university result updates from this link..
Sir I am student of M. phil sociology in dbrau Agra the Datesheet of all course are mentioned in the university website only I S S datesheet are not mentioned in the website at that time as you know the second semester will be conducted in May 2019 the first semester exam is conducted in December 2018 and what is the reason that the exam are not conducted except the Iss all the faculties are start the syllabus of next semester and we are just waiting for Datesheet.